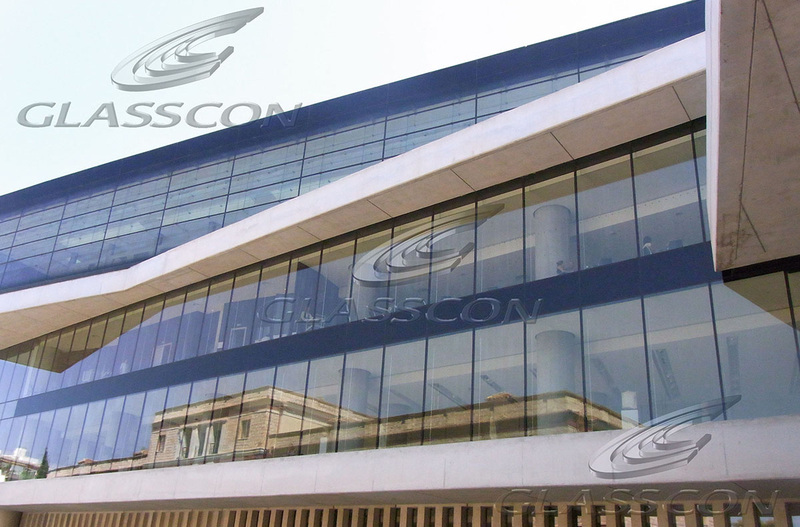 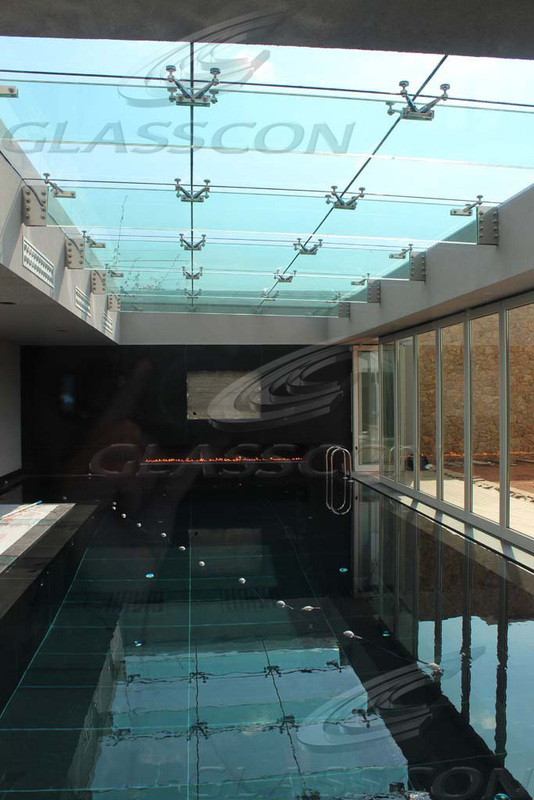 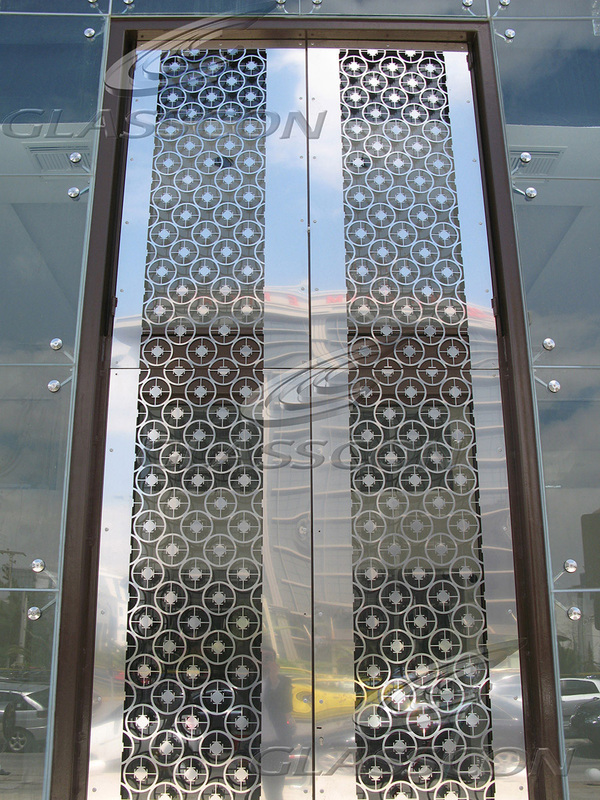 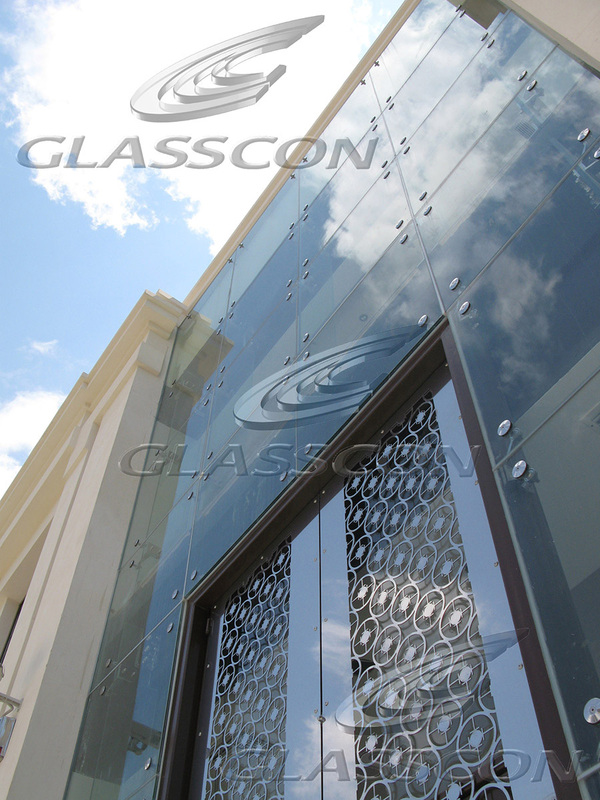 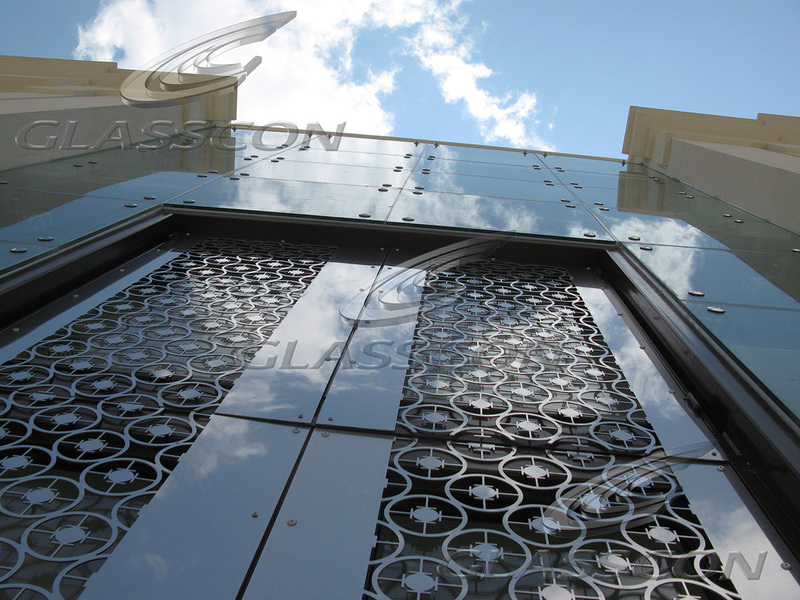 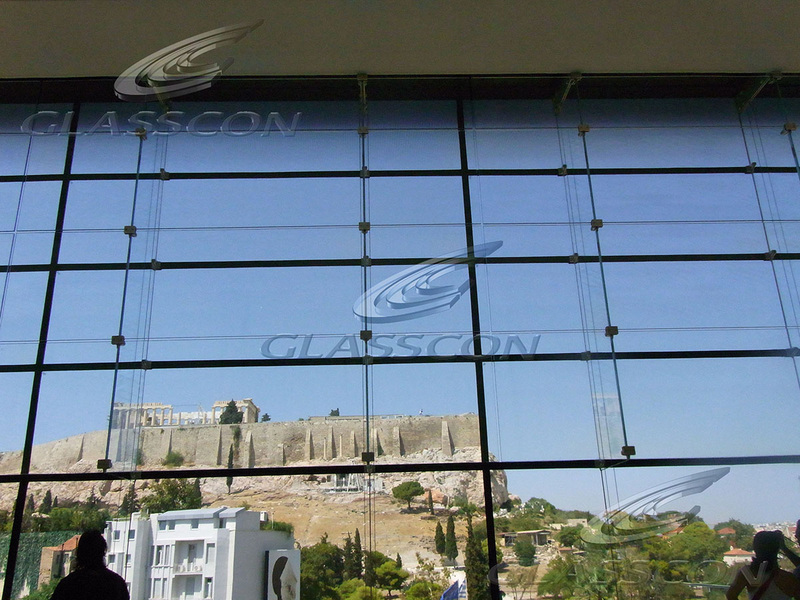 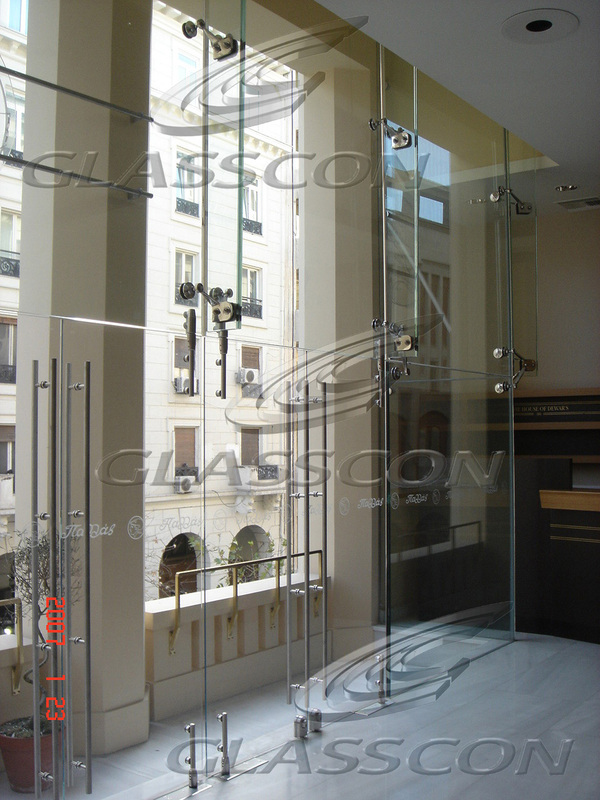 GLASSCON is probably one of the most qualified PREMIUM facade engineering companies! 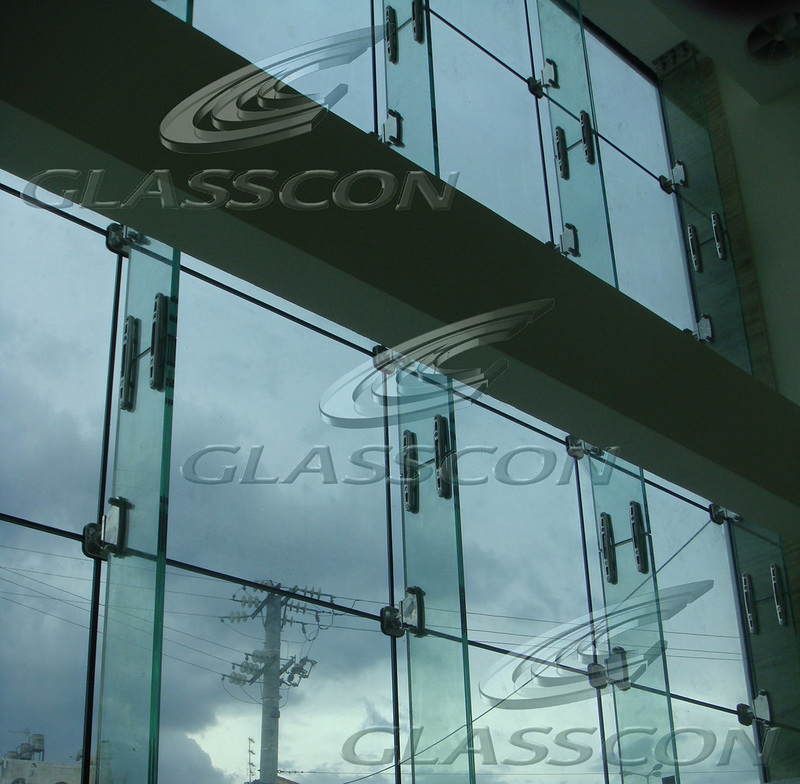 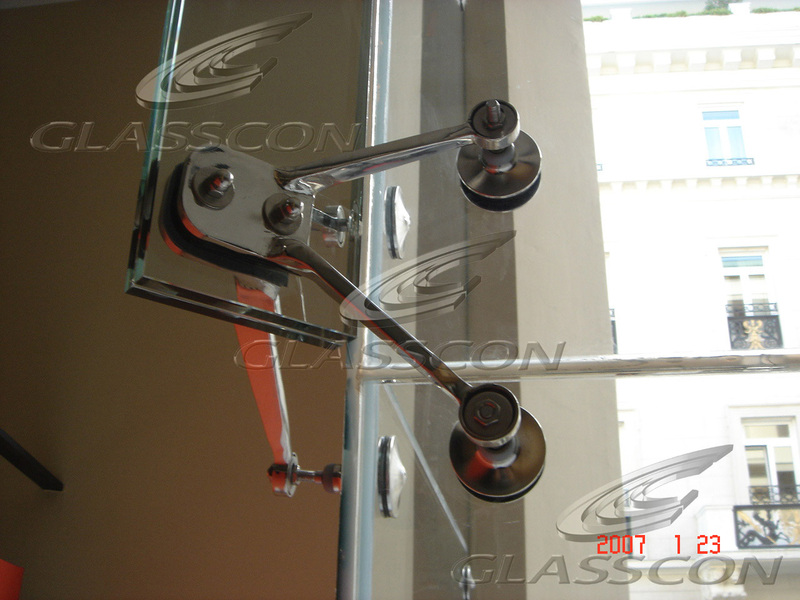 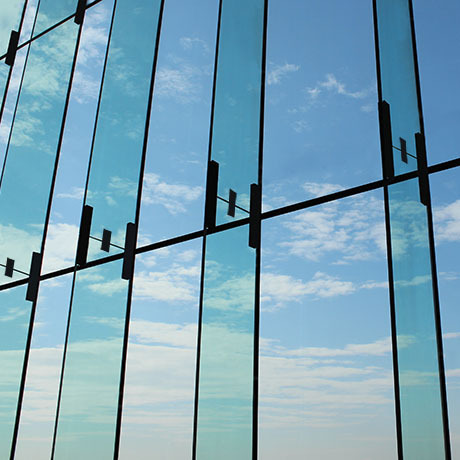 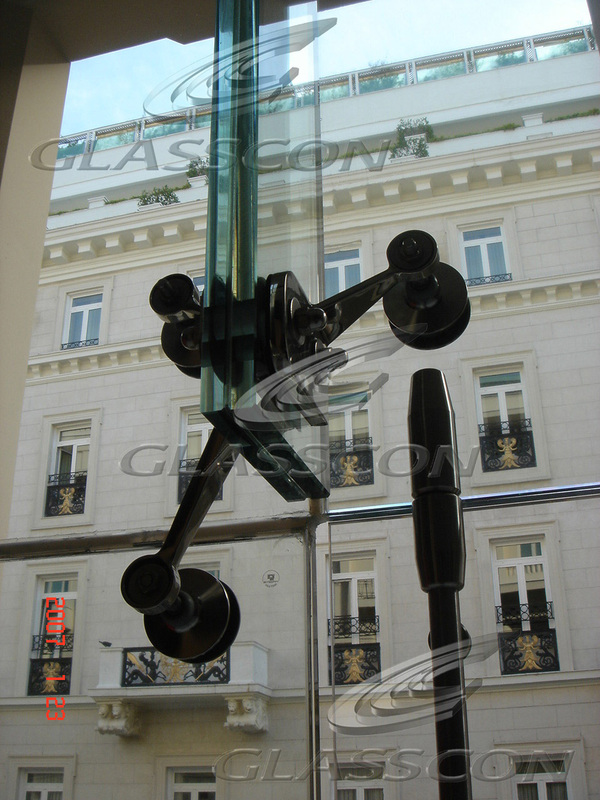 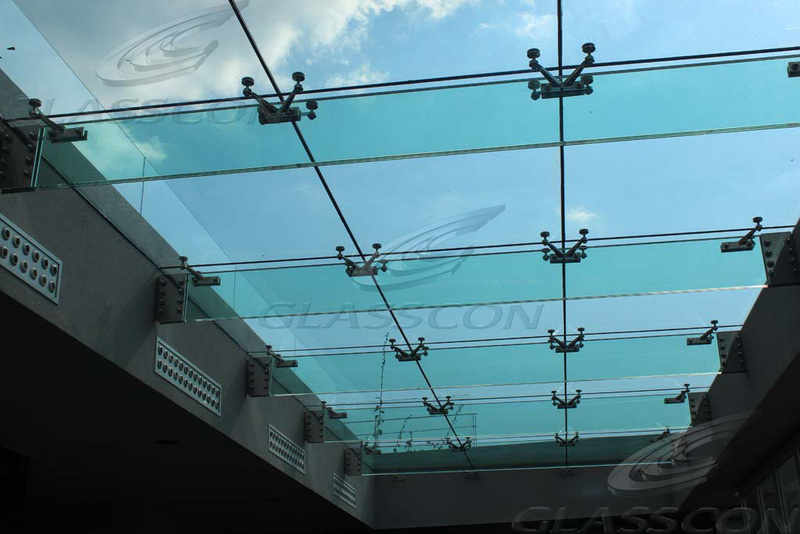 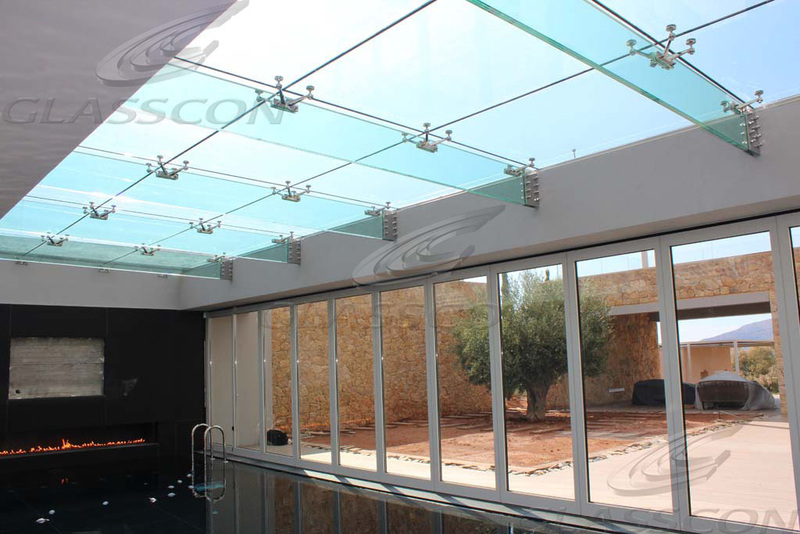 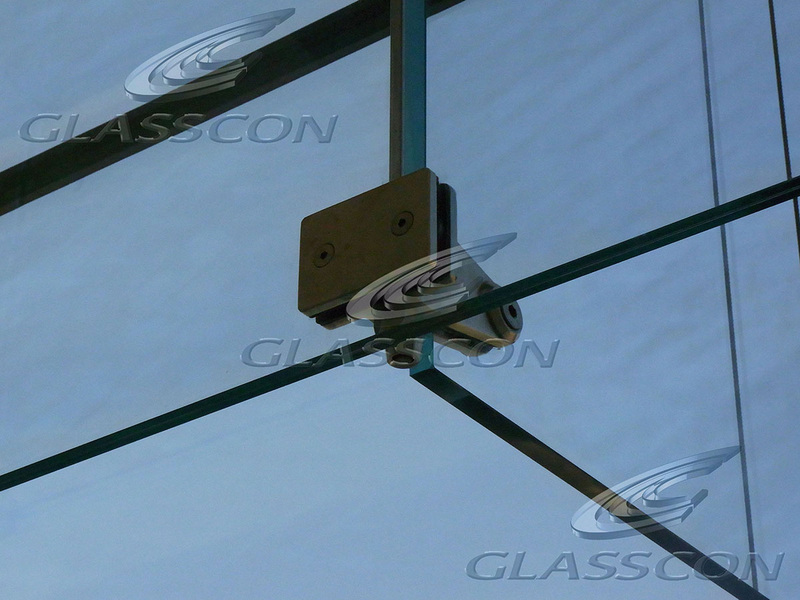 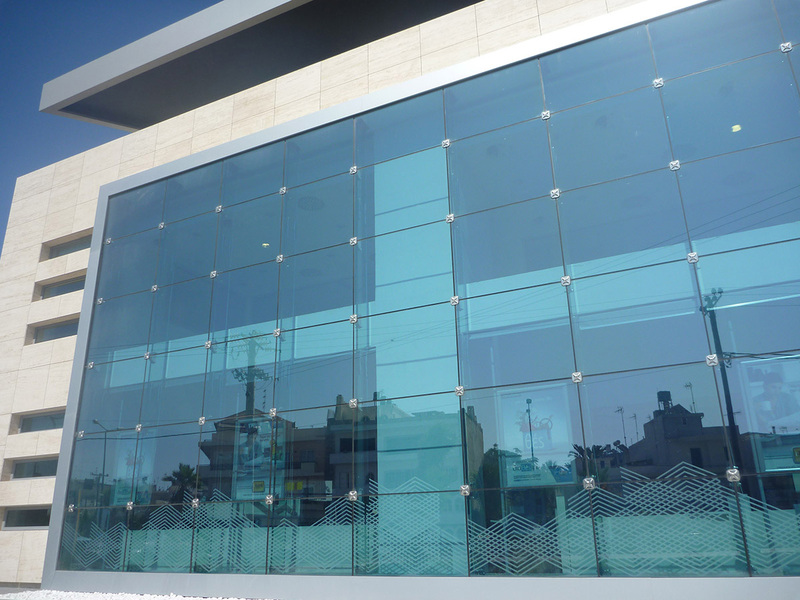 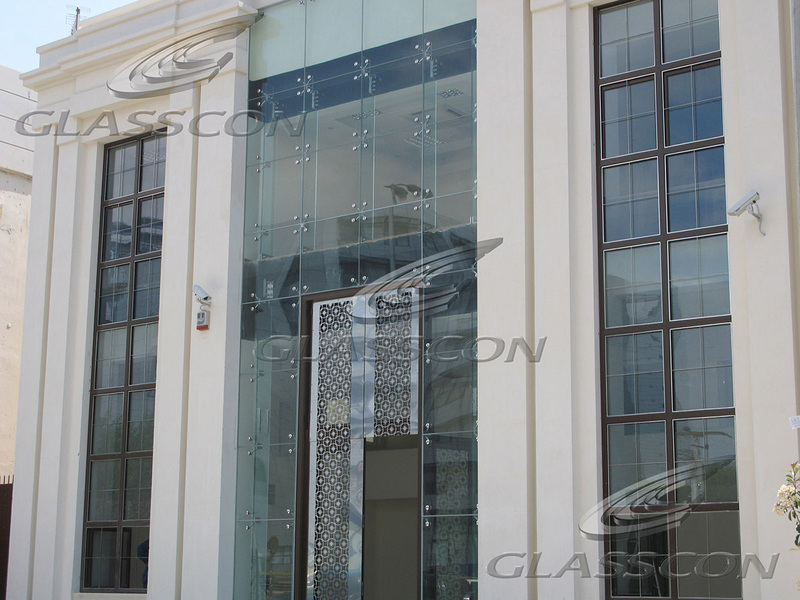 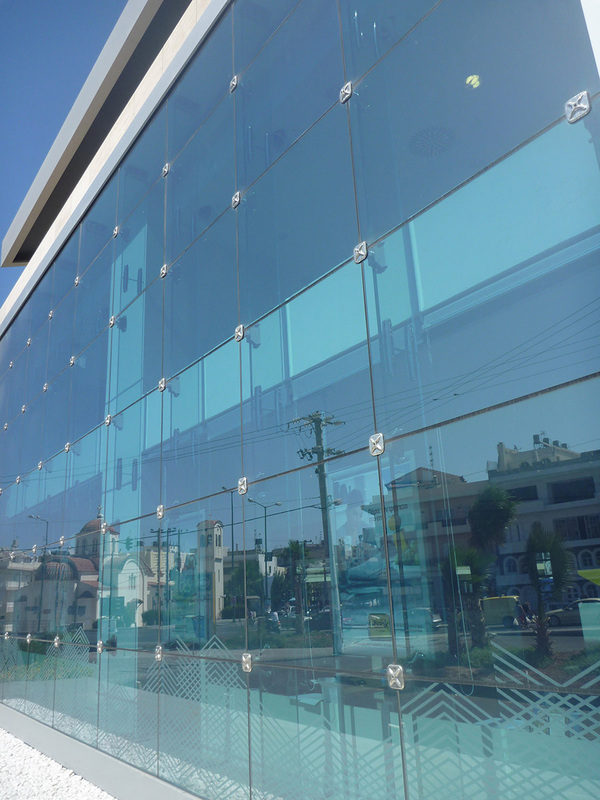 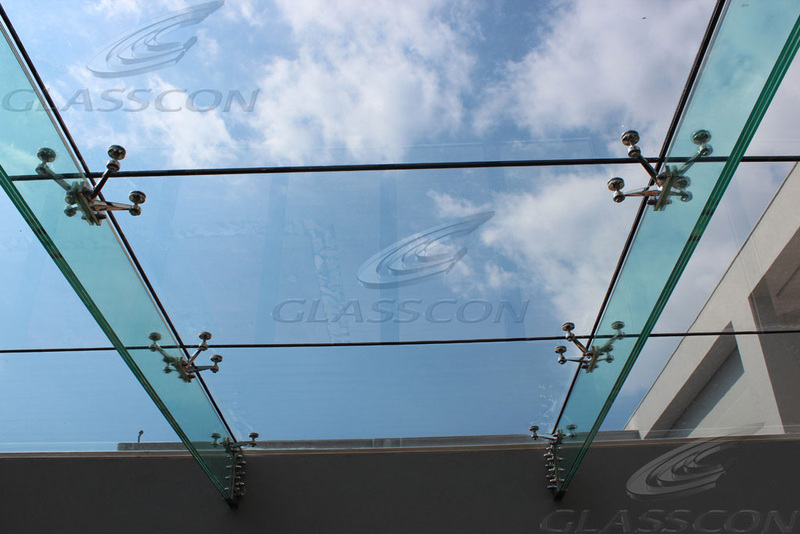 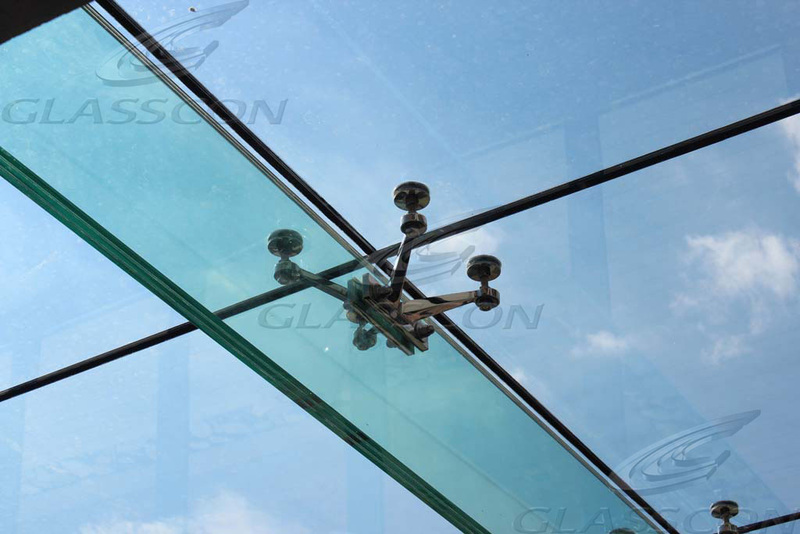 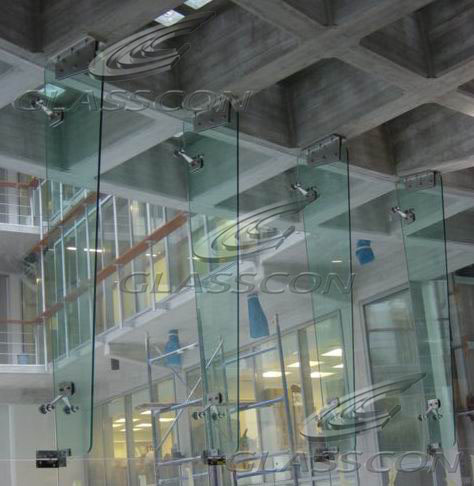 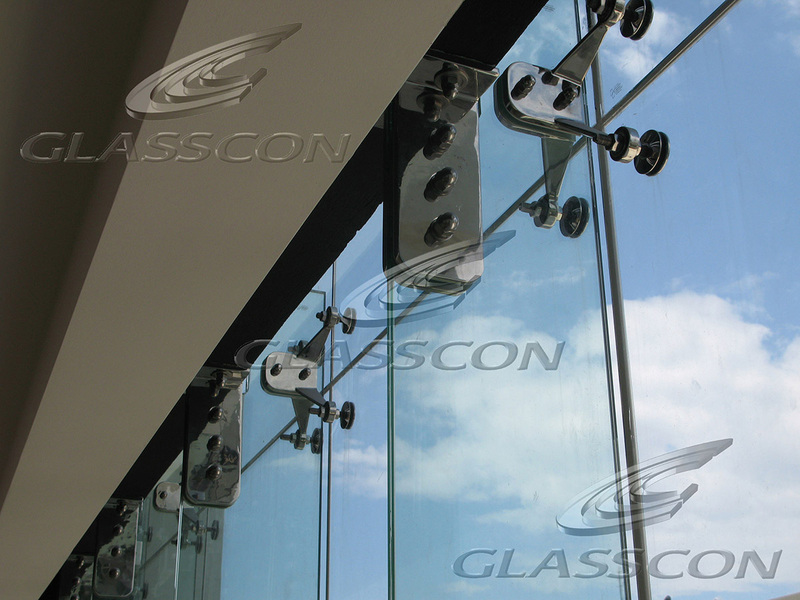 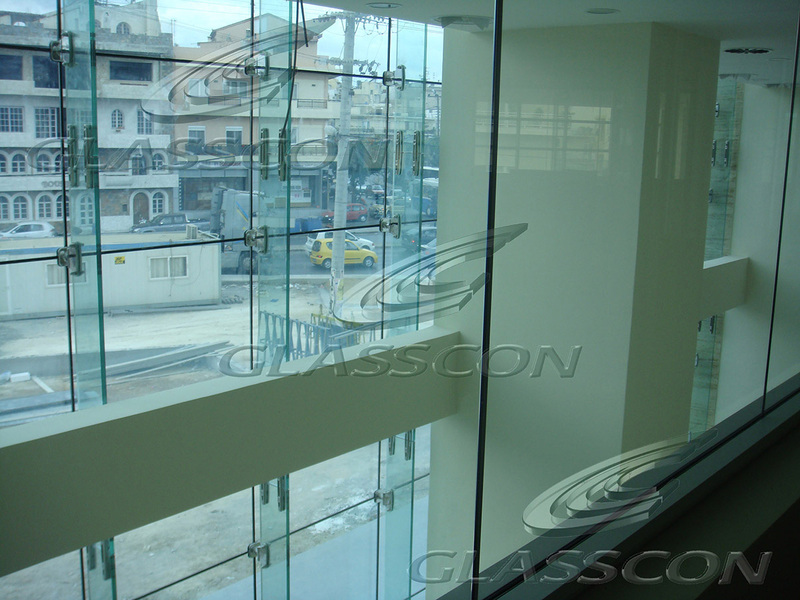 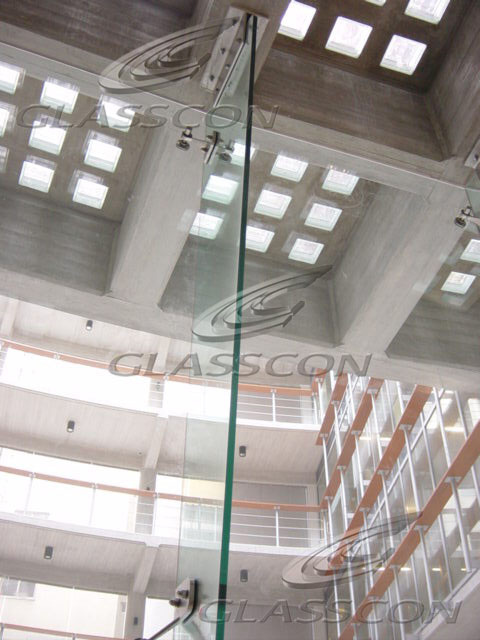 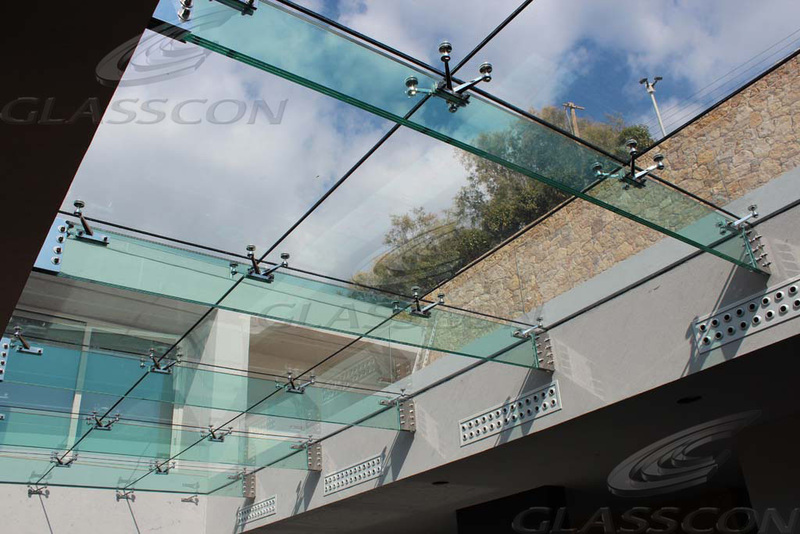 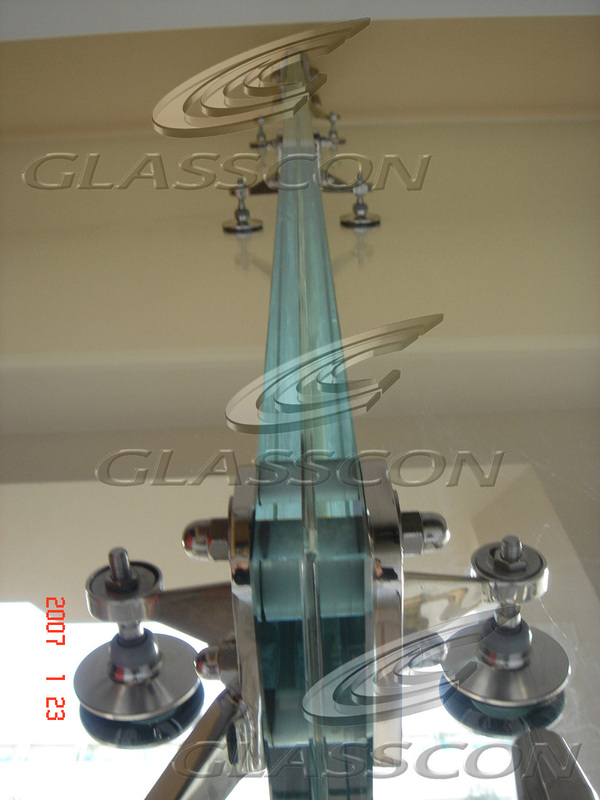 Glasscon's SPIDER GLASS CURTAIN WALL SYSTEMS or point fixed glazing systems and spider glass walls, established our leadership and changed the way of thinking in constructions such as "HIGH TECH" glass curtain walls, canopies, atriums etc. 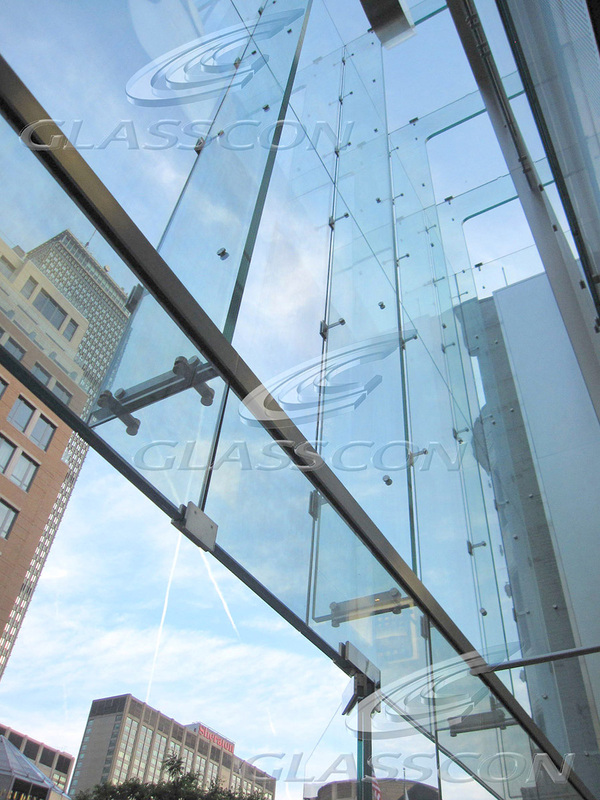 Point fixed glazing systems and spider glass walls offer great transparency and unique designing solutions. 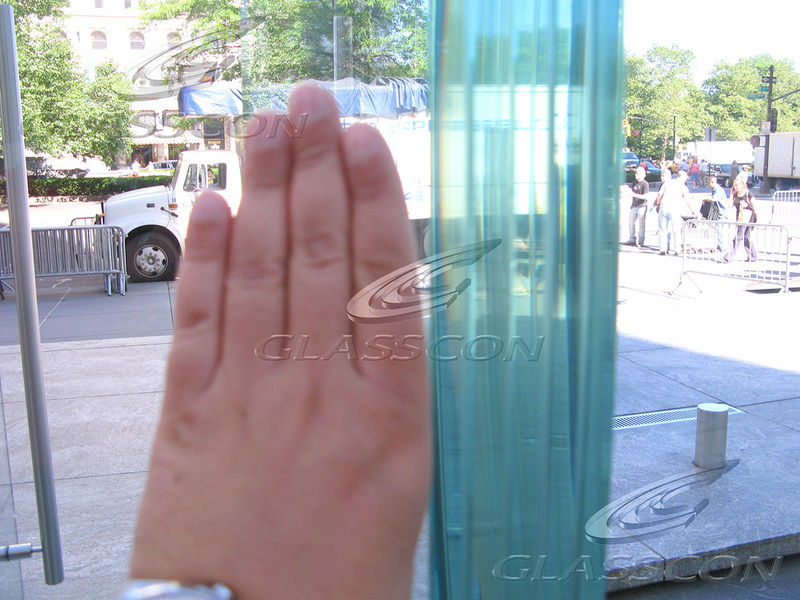 Regarding the FULL STRUCTURAL GLASS WALLS or SPIDER GLASS WALLS WITH GLASS FINS, these are glass walls that are made almost 100% out of structural glass fins and glass beams. 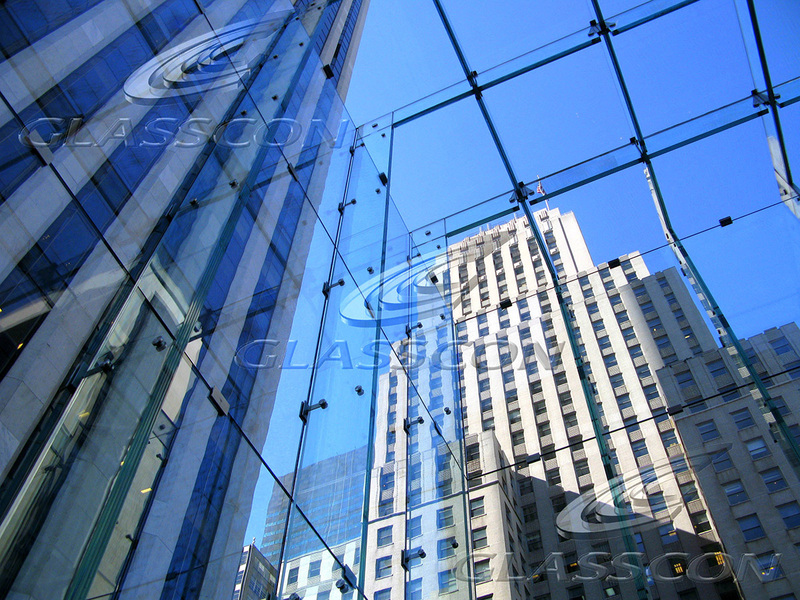 (like the worldwide APPLE STORES ) . 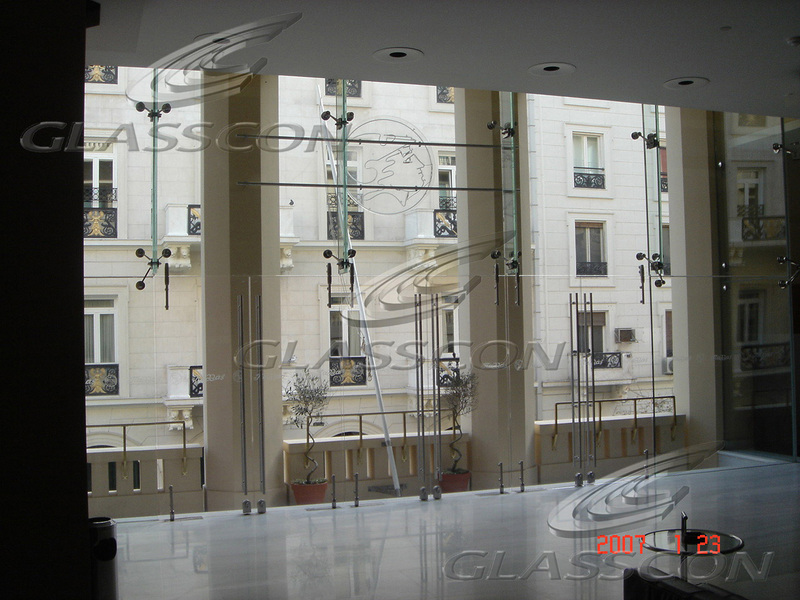 The SPIDER GLASS WALLS WITH GLASS FINS are supposed to be the most transparent 'light' structures, almost invisible to the eye, because they don't have any steel or concrete substructure and they are completely FRAMELESS! 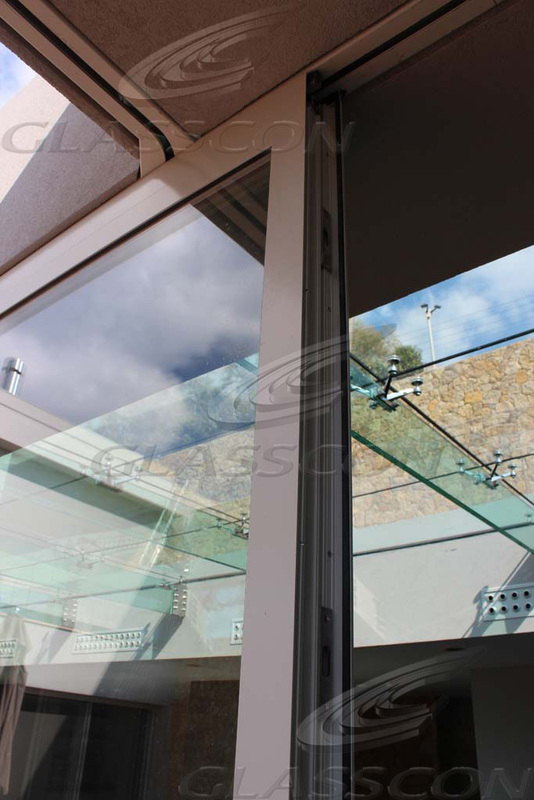 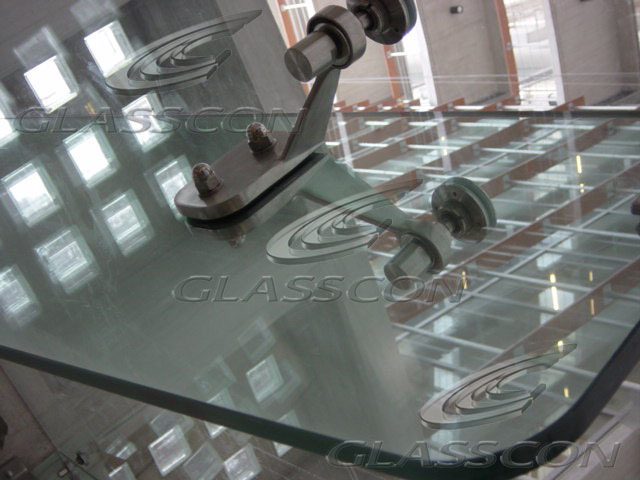 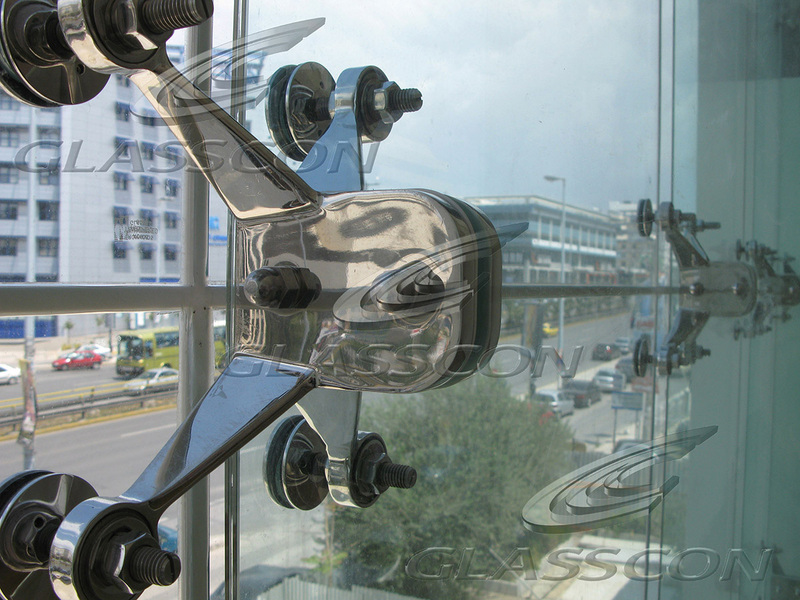 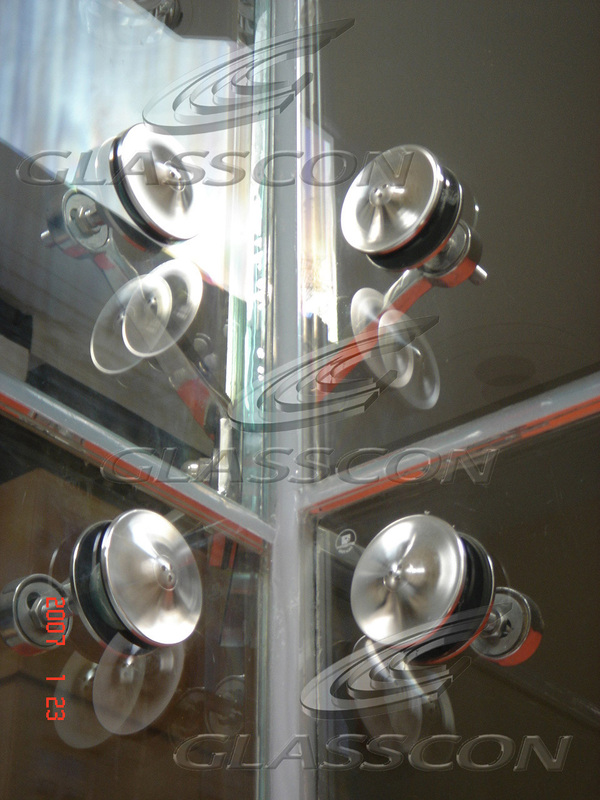 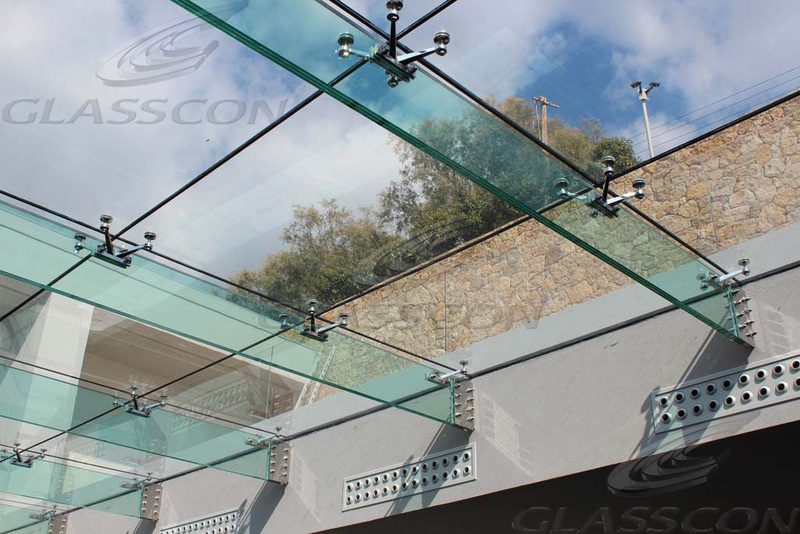 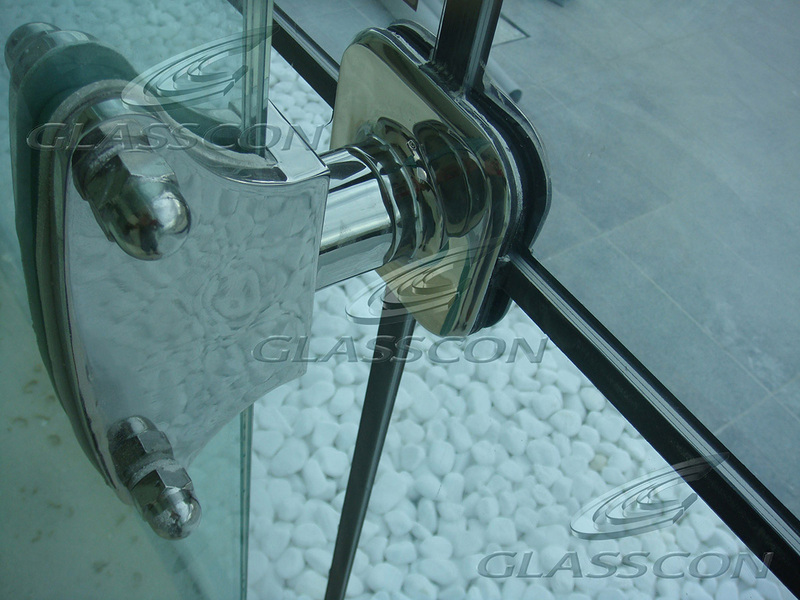 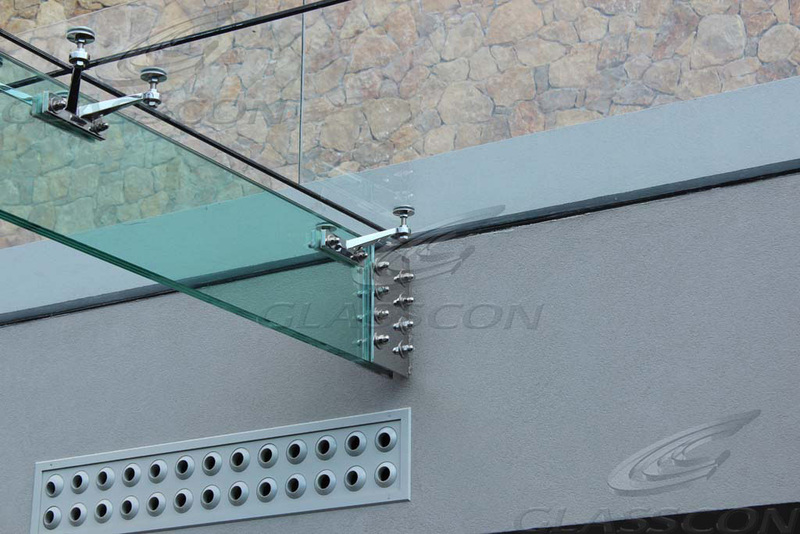 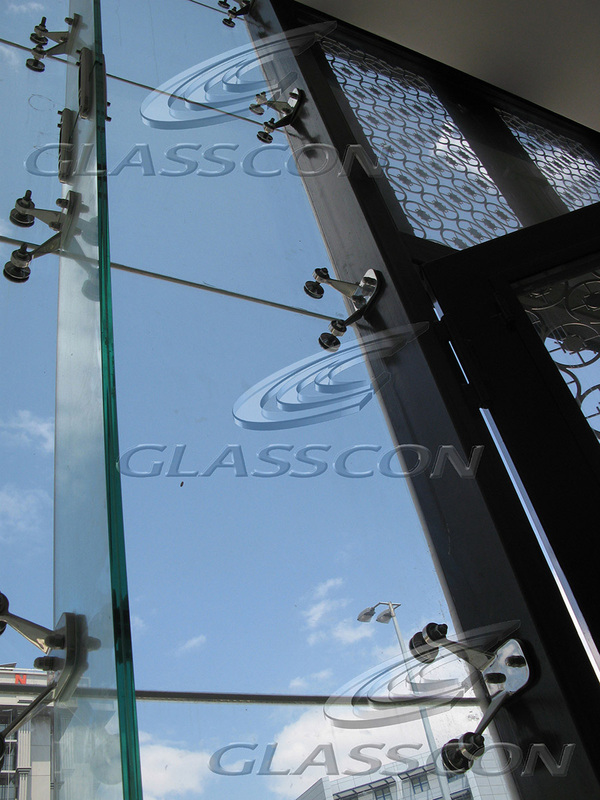 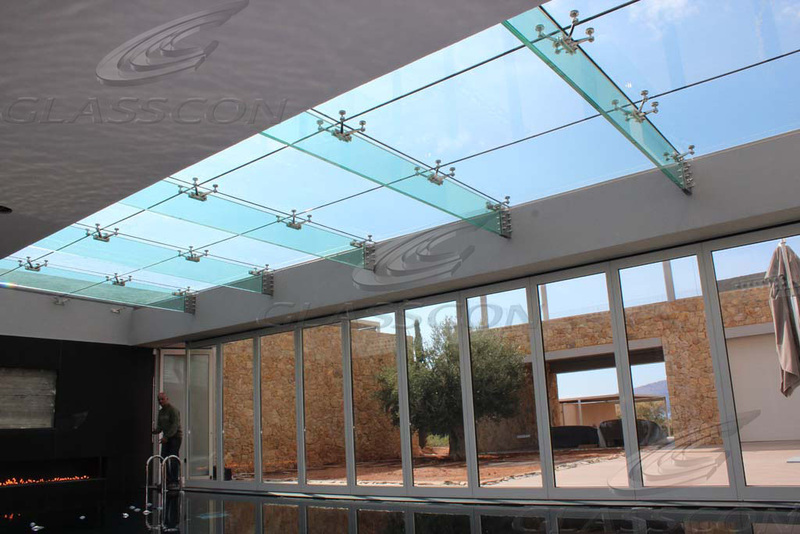 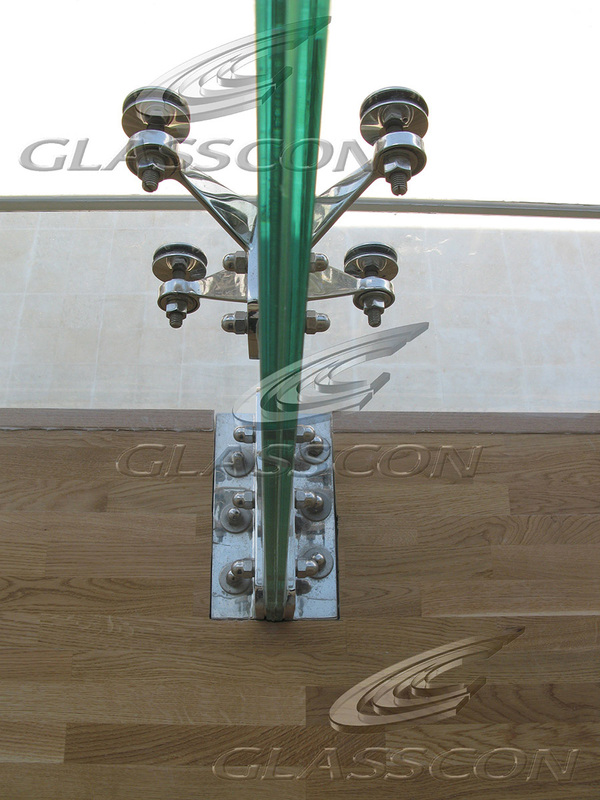 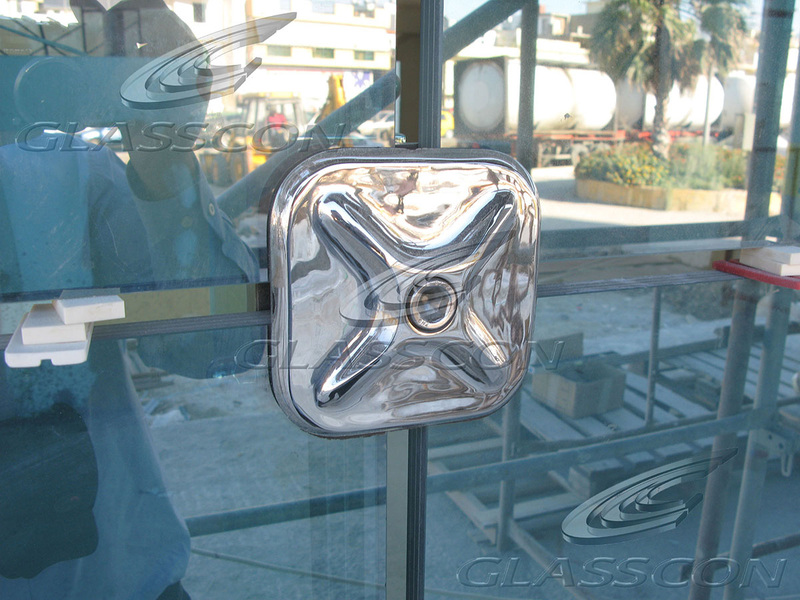 The substructure is completely made from SAFETY GLASS (mostly tempered laminated glass beams, connected via stainless steel INOX joints) and silicon gaskets. 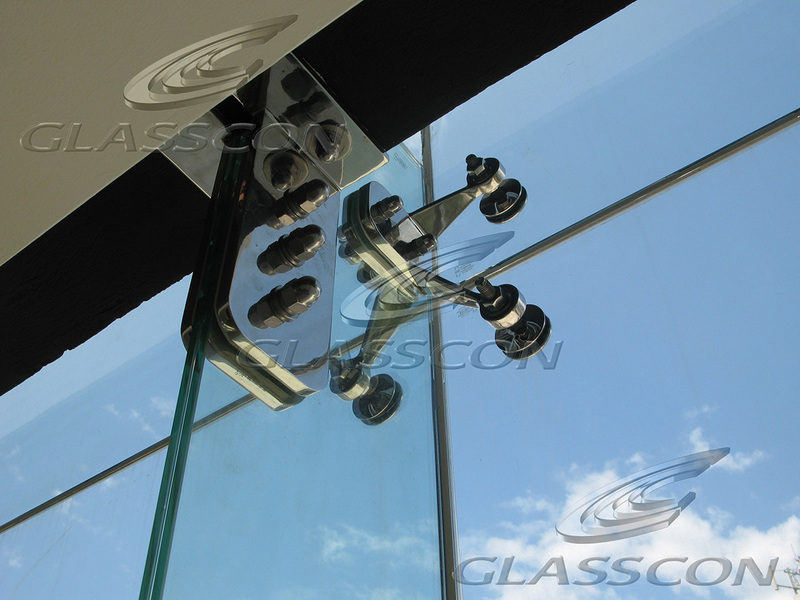 However, the FULL STRUCTURAL GLASS WALLS or SPIDER GLASS WALLS WITH GLASS FINS are completely airtight and waterproof.